We recently received a Vapeonly BCC Mega kit from Viper Vape and found it to be a good clearomizer option with a capacity that takes it well into tank territory. The unit consists of a clear tank with graduated markings on the side topped by a permanently attached top cap. 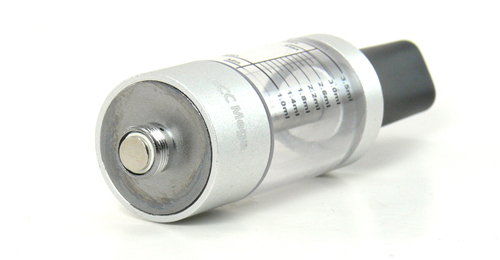 Top and bottom caps are made of a sturdy and industrial looking brushed metal, with the top cap tapering slightly toward the mouthpiece. 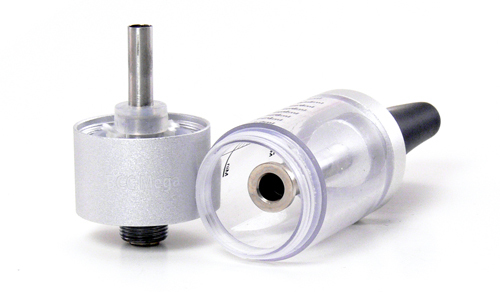 The center hole for vapor airflow is at the bottom of a deep mouthpiece well that does a good job of trapping any excess e-liquid and condensation. The bottom is flat, save for the 510 compatible connector. The mouthpiece included with the Vapeonly BCC is flat tipped and made hard plastic. The tip rotates, making it easy to adjust it to a comfortable position. If flat tips are not your thing, any 510 drip tip works perfectly as well. Unscrewing the bottom cap exposes the removable bottom coil and allows for easy filling of the tank. 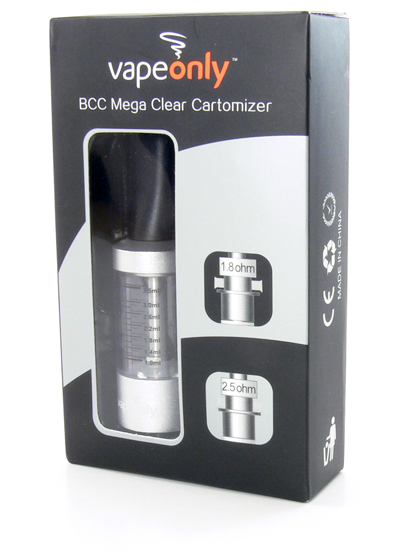 The BCC in the name stands for bottom coil changeable, and this coil is one of the easiest to change available today. The base of the tank has a silicon gasket with a hole in the center that the replacement coil assembly simply pushes into. That’s all there is to it. When the bottom is screwed back onto the tank, contact with the bottom of the center tube ensures that the coil is properly seated. The kit comes with one coil already inserted as well as two replacements in 1.8, 2.2 and 2.5 ohm versions. Of course, the most important aspect of any atomizer, cartomizer or clearomizer is its performance. Here is where we need to make a slightly reserved statement about the Vapeonly BCC. The unit performs well, but only after it’s set up correctly. Using this unit right out of the box (after filling and allowing the wicks to soak in for half an hour or so) resulted in nearly immediate dry hits. Blowing into the mouthpiece to force some more air into the tank helped, but not very much. It seemed like a sufficient supply of juice was simply not making it to the coil. Thankfully, a small amount of tinkering resolved the issue. Pulling the top off the coil assembly reveals a rather thick wad of wicking laying on top of the coil in addition to the wicking that is wrapped by the coil itself. Removing approximately half of this top wicking allowed my 80PG/20VG juice to flow nearly perfectly through several tanks of use. I did notice a slight amount of gurgling and some juice in the tube, so next time I will remove just a little less. I also tried using some 100% PG (thin) e-liquid without removing any wicking and it seemed to work pretty well. It’s probably safe to assume that even more wicking would need to be removed for a thicker e-liquid with a higher VG content. The takeaway from this experimentation is that the wick on the Vapeonly BCC seems to require a little modification depending on the thickness of the e-liquid used. While I would rather see a perfect out of the box experience for new users, it is satisfying to know that the unit can be easily modified to meet the needs of many different users. In this case, I would rather have the unit shipped with too much wicking than not enough, and I’d like to think the manufacturer intended it that way. 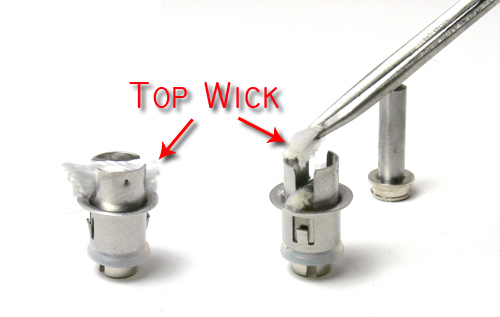 Once the right wick density is achieved, the Vapeonly BCC performs very well. Vapor production is excellent, with the unit producing clouds of thick vapor. Flavor is also very good, especially after an initial 10 vapes or so gets rid of the slightly plastic tasting undertone that is present on many new devices. Throat hit is also good and the unit is comfortable at a variety of different voltages. The 1.8ohm coil performed very well on an unregulated 3.7v mod. There has been no leakage from the tank over a couple of weeks of moderate use whether the device was standing upright, laid down or pocketed. 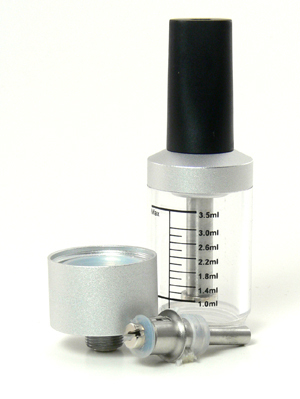 A small amount of liquid did collect in the mouthpiece area when used with thinner e-liquids and the wide receptacle makes it very easy to clean out. Removing the mouthpiece also makes the unit very easy to stand upside down for filling and the wide bottom opening makes it convenient to fill on the go. Viper Vape offers the Vapeonly BCC Mega kit on their advance clearomizer page and also as part of their semi pro kit choices. This is a pretty accurate way to refer to this clearomizer. It’s probably not going to make a great impression on a new vaper, but can be a very rewarding vape for a user ready to modify it just a little. Once adjusted, this good looking tank performs quite well and looks like it will continue to for a long time to come. Note: This Vapeonly BCC was provided by Viper Vape for the purposes of this review. 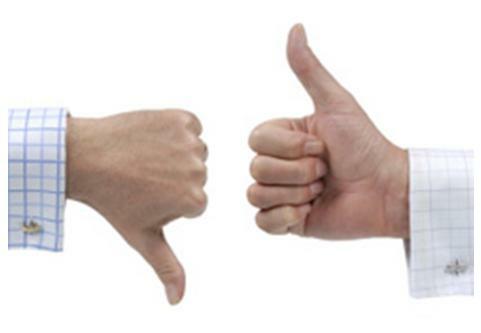 While our wallets are grateful for the opportunity to try out the newest devices without the never ending expense, we do try our best to provide an objective review.